The Walking Bus runs each morning. The Walking Bus is a fantastic resource that allows parents and carers to walk each other’s children to school in the morning. Volunteer parents meet in the Bull car park each day at 8.20am ready to accompany the children to school in time for the bell. This environmentally friendly resource is great exercise for both the children and adults and the children arrive at school alert and ready for the day ahead. 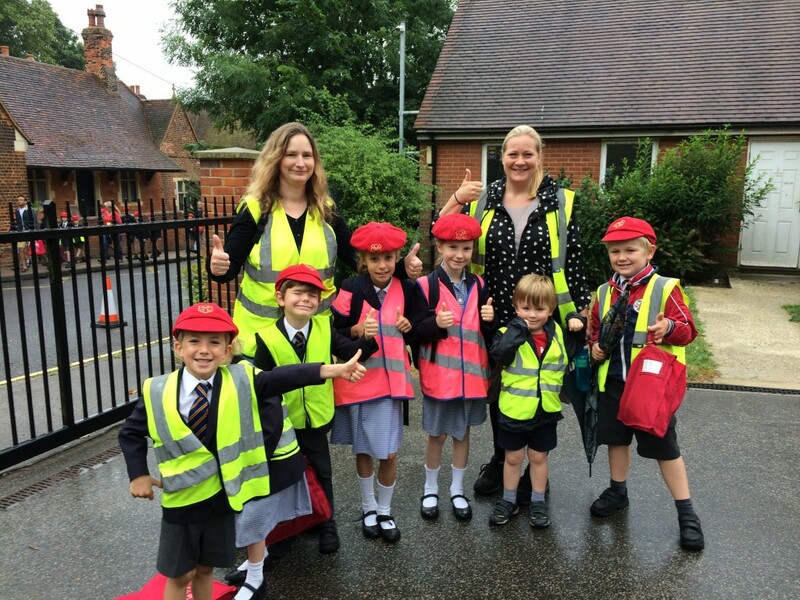 The children also learn vital road safety awareness and can benefit educationally from experiencing the changing seasons week by week. There is no requirement for you to always walk with your children, so if you are able to commit to walking on one or more days we can also help you by walking your children on other days when perhaps an extra half an hour in the morning might be helpful to you. There are strict ratios set by the local council which dictate the exact number of infant and junior children that can be accompanied per adult so you can rest assured there is always someone looking out for your little one. You will also be surprised, I’m sure, just how capable the children are of walking up to school each day given the option. If you would like to volunteer for the walking bus we would be delighted for you to join us (volunteers will need to have a DBS check, formerly CRB, to be able to walk with us).